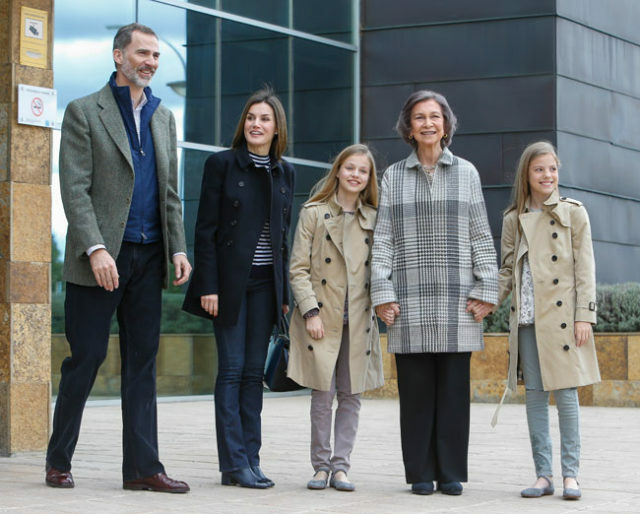 On Sunday, King Felipe arrived at La Moraleja Hospital with Letizia and his mother Queen Sofia. The trio arrived in the same care, where Letizia respectfully opened the car door for her aging Mother-in-Law. The royals were at hospital visiting King Juan Carlos who just had his knee surgery. This was the first outing of Letizia and Sofia together after the Easter Video causing rumors of rift between them. For the family visit, Queen Letizia kept her style casual. 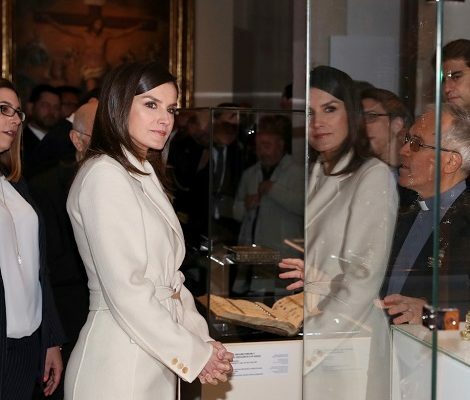 Letizia was wearing a classic beige trench coat from Hugo Boss and her black Hugo Boss HUGO ‘Heylen’ trousers (£189) that she recently debuted during her visit to the ancient city of Mérida. 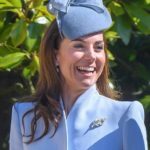 The double brested button placket, the back yoke coat featuring the wrap belt with buttoned tabs on the sleeve cuffs is a new addition to Queen’s wardrobe. 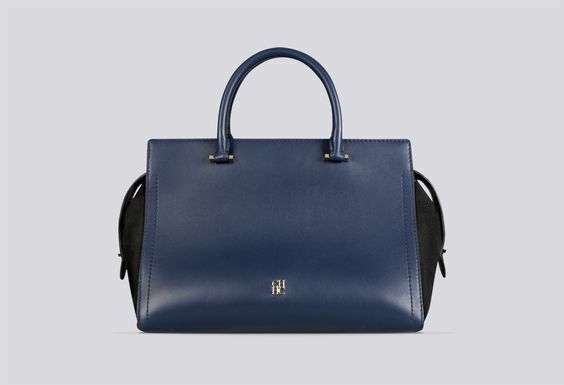 It is Hugo Boss’s Cirala model that is now currently retailing at £219. Today we saw the comeback of Letizia’s Paco Rabanne Black Leather Disc and Ring Small Bag that was premiered in September last year when Queen dropped off her daughters at school for the commencement of the academic year. black leather oxford shoesLetizia teamed the look with a black leather oxford shoes and her Chanel Comète Earrings finished the look. Within 24 hours, the royal couple was again visiting King with Queen Sofia t but this time accompanying them were the young Princess Leonor and Sofia. 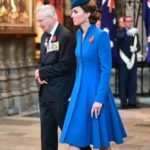 For the second visit Queen chose a more casual chic look. 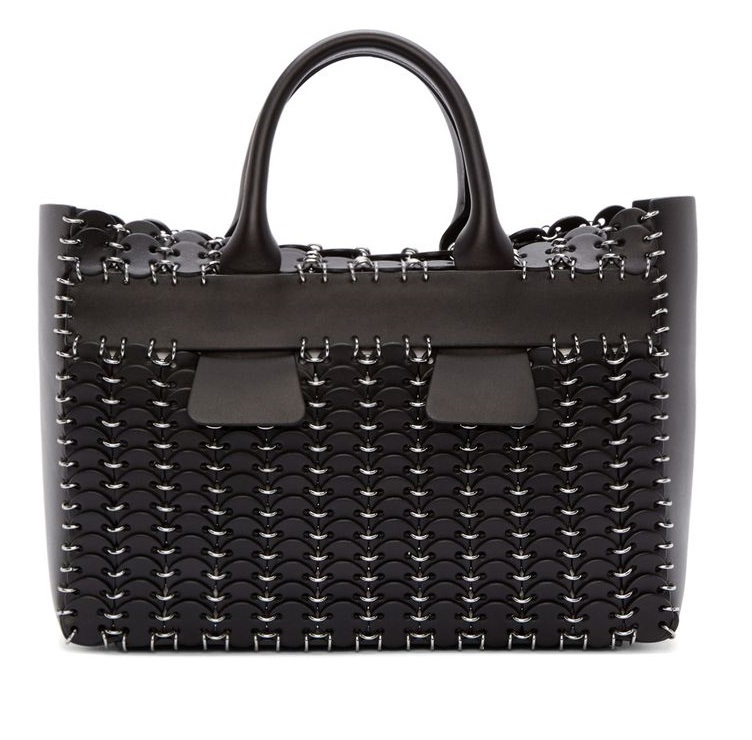 She wore a navy wool coat with a striped HugoBoss top. 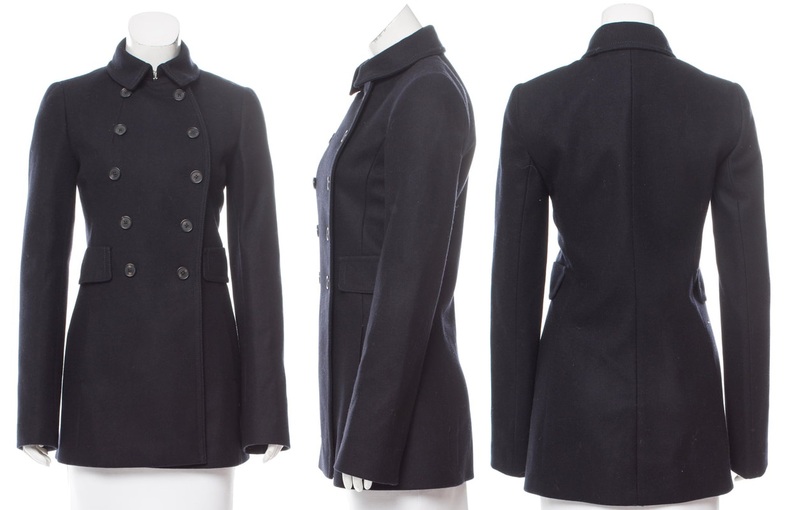 Navy Fay wool CaoatThe navy wool coat is from Fay an Italian label. 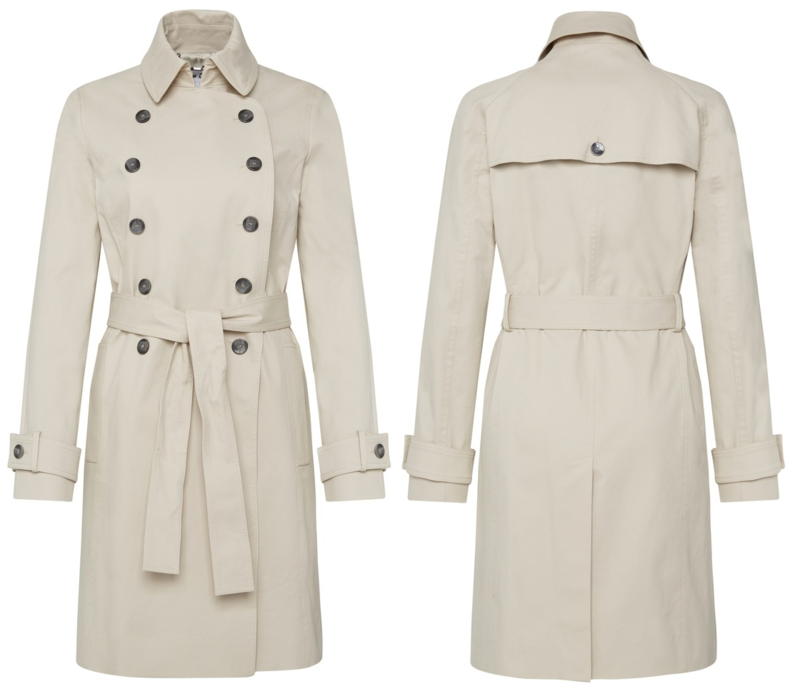 The short double-breasted coat features a shirt-style collar and mock pocket at the front. 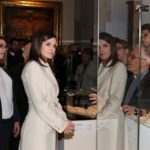 Underneath the coat Letizia wore a knitted sweater from Adolfo Dominguez. 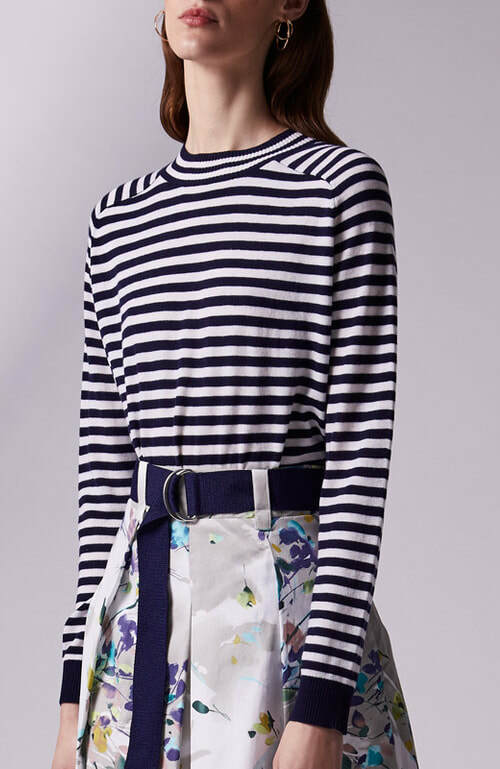 The white and navy stripped sweater is knitted from a soft wool blend and features crew neckline, ranglan long sleeves, and rib-knit accents along the hem and cuffs. 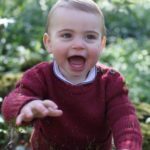 A great find by Queen Letizia style blog. Letizia paired the coat and top with blue jeans seems to be from Massimo Dutti and black block kitten heel mid-length boots from the same label. 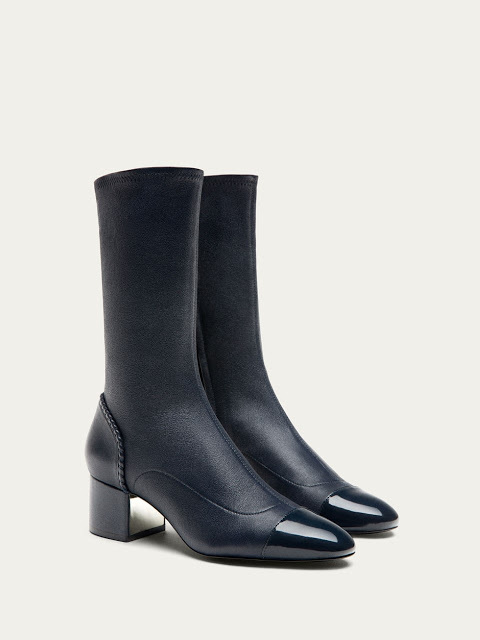 Massimo Dutti Mid-length block heel shoesLetizia was carrying her Carolina Herrera navy ‘Osaka’ hand bag. As usual Princess Leonor and Infanta Sofia were in the matching outfit one again.